Departments and officials using social media accounts will be responsible for maintaining and monitoring them. The commissioners put the two policies on the consent agenda for approval at their regular meeting on Tuesday, when they also will take up a rezone request to develop a commercial shopping center on SR 316 at Mars Hill Road. At the meeting on Tuesday, Commission Chair John Daniell announced that the next Town Hall Meeting will be held at 6 p.m. on Feb. 19 at the Oconee Veterans Park, and the county received a report on the Fiscal Year 2018 Audit saying the finances are sound. The policy informs employees that email messages sent and received using a county device are not private and are subject to viewing, downloading, inspection, release, and archiving by county officials at all times. “Additionally the Georgia Open Records Act could allow a public disclosure of email messages sent and received using a County Device,” the document states. The social media policy stipulates that all county social media accounts shall be created using an official county email address and display the county or departmental logo when possible. The policy also sets standards for content and for handling comments posted to the sites by users. Content and comments posted to county social media accounts or sites that violate the social media policy are to be documented via a screenshot or printout and immediately removed. Carrie Wilkins, a partner at Treadwell, Tamplin and Co., of Madison, told the county that the company’s audit of the county’s expenditures for the Fiscal Year ending June 30, 2018, showed that the county met “the highest level” of performance. Wilkins said that the unassigned General Fund Balance was $8.2 million and that all departments had spent under budget. “Part of the field work we do involves testing of the expenditures of the SPLOST Funds to ensure that the SPLOST money is spent in accordance with the referendum,” Wilkins said, referring to the Special Purpose Local Option Sales Tax. “And we found no problems with that,” she added. The audit shows that the county took in $7.4 million from the 2015 SPLOST during the 2018 Fiscal Year and spent $6.4 million. That spending includes more than $1 million transferred to the county’s four cities. The audit incorporates the information from the county’s required end-of-year reporting on SPLOST spending, which shows the county with $3.1 million in unspent funds from SPLOST 2004 at the end of June of 2018 and $0.8 million in unspent funds from SPLOST 2009. The Board of Commissioners on Tuesday also approved tentatively a $3,500 contract with Carter Watkins Associates Architects of Monroe for services needed for submitting a state Community Development Block Grant application for expansion of the county Senior Center. The county will hold a public hearing at 6 p.m. on Wednesday at the Senior Center in Oconee Veterans Park, 3500 Hog Mountain Road, on the block grant application. Fran Davis, director of Oconee County Elections and Registration, informed the Board at the meeting on Tuesday of the party designated members of the Board of Elections and Registration. The Oconee County Republican Party has appointed Pam Hendrix to replace Hoyt Watson on the Board, Davis said, and the Oconee County Democratic Party has appointed Jonathan Wallace to replace Robert Wyatt on the Board. Davis is the chair of that five person Board. The Commissioners have appointed Douglas Hammond and Jay Hanley as the other two members. At the meeting on Tuesday, the Commissioners will consider a request by Scott Boswell of Athens to rezone just less than 30 acres on SR 316 west of the Mars Hill Road intersection for development of a commercial subdivision. On July 5, 2016, the Board of Commissioners approved a rezone request by Boswell for the acreage from A-1 (Agricultural District) to B-2 (Highway Business District) to allow for the development of his electrical supply business, Boswell Electrical and Communications Supply. The county has approved preliminary site plans and site development plans for the supply business, and the building is under construction. Boswell is proposing to subdivide the nearly 30 acres to create a 19-lot subdivision, accessible off Mars Hill Road. Lots 2 through 19 will be developed by other companies who will be buying the lots or leasing from the developer, according to the narrative. At full build out, there will be an estimated 19 total buildings, the narrative states. The total gross commercial building floor area is expected to not exceed 290,000 square feet. Representative photos submitted with the application are of typical commercial shopping centers. The meeting starts at 6 p.m. at the Courthouse in Watkinsville. The rezone request is near the top of the agenda. The video below is of the Jan. 29 meeting of the Board of Commissioners. 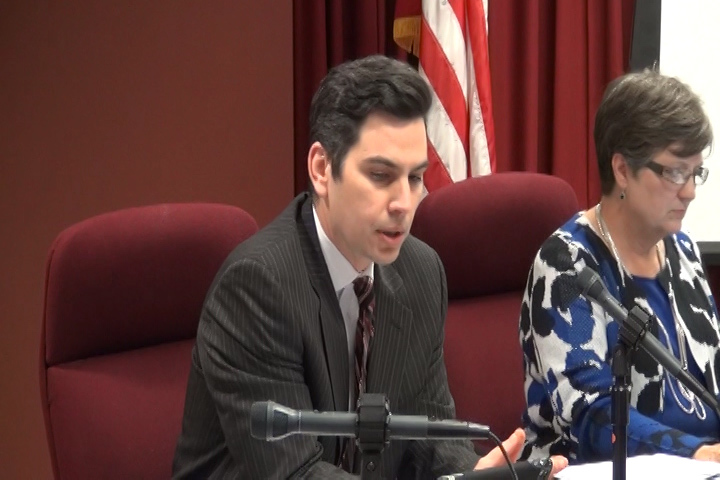 Wilkins gave her audit report at 6:09 in the video. Newell made his presentation on the IT and Social Media policies at 15:35. I would like to comment on some issues brought up at our recent BOC meeting. It concerns me and I do not wish to offend. First-Social Media Policy and monitoring county employees. I think if you look a guideline was always in place. John Daniell now has the County Administrator as the Hall Monitor. Security is one thing, but Big Brother is another. Also stated handling of comments by public. Freedom of Speech is now controlled & censored by Daniell via his flunkie. The same guy that has questions about books is now wanting to control our comments and employees electronic devices. Second -What Happened Moment goes out to the local Republican Party and BOC (all elected as Republicans). Pam Hendrix was appointed by the Republican Party to the Election Board Committee. Hendrix ran an unsuccessful bid to run as an Independent against Rep. Chuck Williams-Republican. She now calls herself a Republican and is appointed to all things our Election Board. Followed up by elected officials (BOC Republicans) appointing a guy (Hanley) that may not be a resident of the county. This was brought up by someone on this blog. I am sure Hendrix & Hanley are nice people. Just askin’ . Qualifications to vote is an issue questioned by voters to government. Shouldn’t those on an Election Board meet state and federal qualifications if they are implementing voting laws? Can’t the Republicans do any better - 20,000+ registered Republicans in Oconee County and a fair appointment is beyond the capabilities of Republicans. Granted, both parties have their problems, however, this is a glaringly obvious problem. Especially with the Presidential election in 2020. Freedom of Speech and our Fair Election practices both challenged in one BOC meeting. Thanks , Lee, for the update. The Board of Commissioners does not have the ability to make judgments on the nominations from the two parties. The enabling legislation for the county stipulates that all five members must be registered voters and residents of the county. Two of those members are appointed by the political parties receiving the most and second most votes for governor in the most recent gubernatorial election. The parties merely inform the Board of Commissioners of their appointments, which is what was being done at the meeting on the 29th.